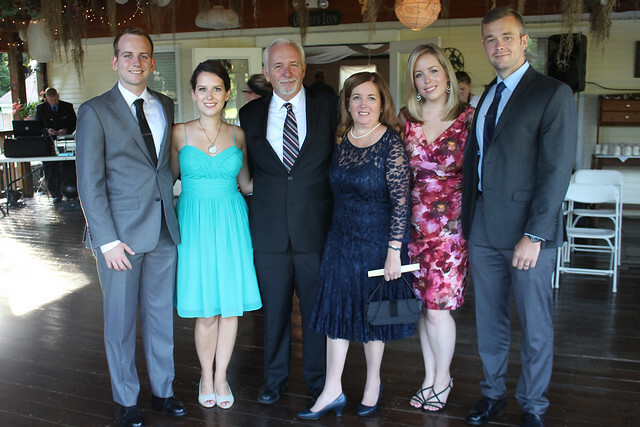 A couple of weeks ago, my family headed out on a road trip over the border to Lancaster, Ohio for the wedding of one of our dear family friends. 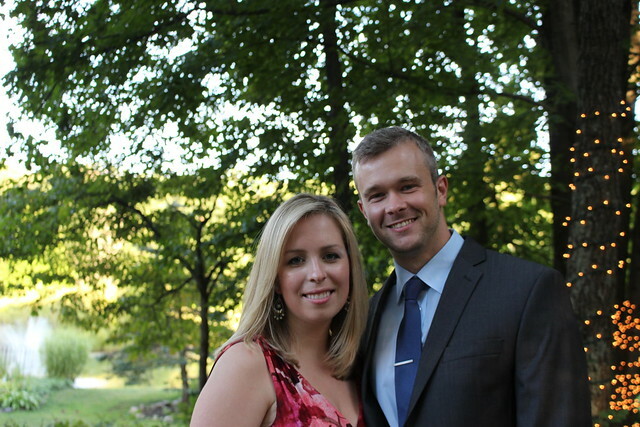 My dinner date and dance partner (for life!) was able to get off work to come too. It was the only time we left the farmhouse all summer while we’ve been doing the restoration, so it felt like a mini vacation to get away for four days. We even went swimming in the hotel pool – twice! 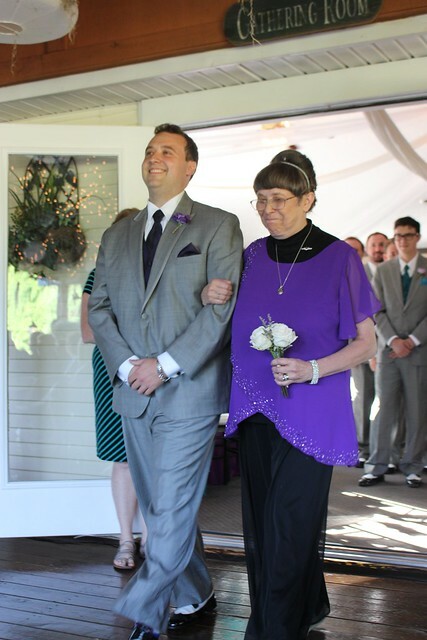 The groom, Josh, was so happy, but I think his mother’s reaction was just as sweet. 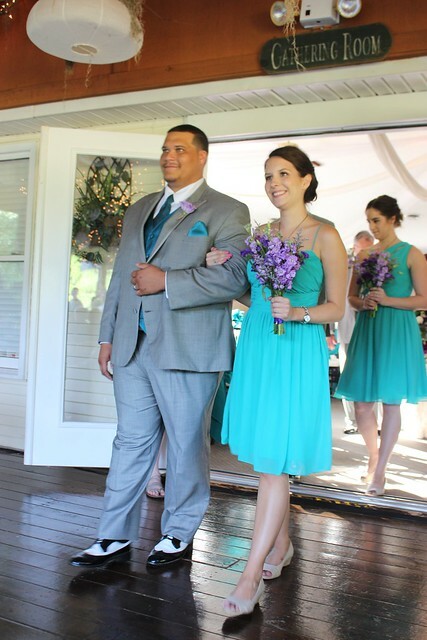 The bridesmaids (including my sister) wore lovely teal dresses with beautiful purple flowers and the groomsmen looked sharp in grey tuxes with black and white oxfords. 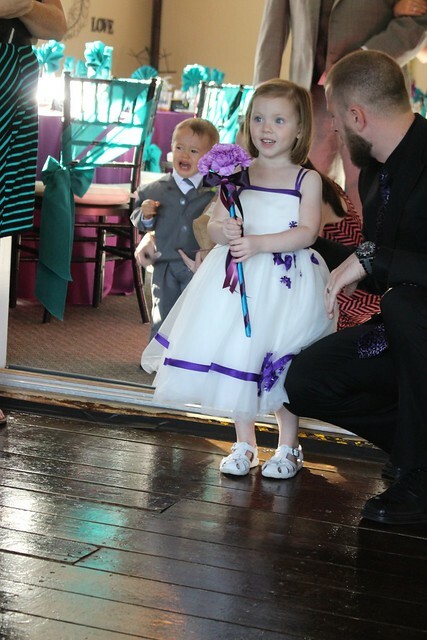 The ring bearer was super cute in his mini tux, but a little nervous about heading down the aisle and the flower girl was a total sweetheart, with dimples to boot. 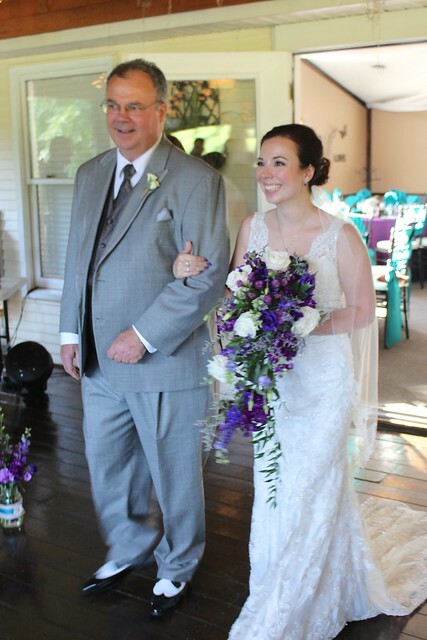 The beautiful bride, Sharon, and her beaming dad. I couldn’t get over how stunning she looked! 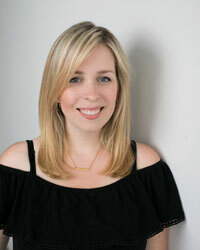 I first met her over a decade ago when her family and my family became fast friends. Since then she’s blossomed into a beautiful woman – inside and out. 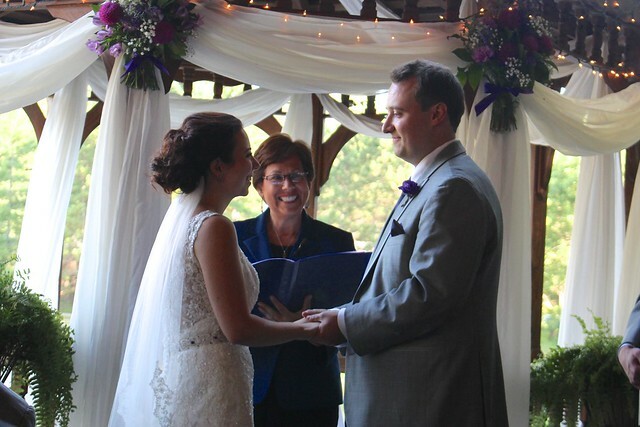 The ceremony was really sweet, with the bride and groom saying their own vows. 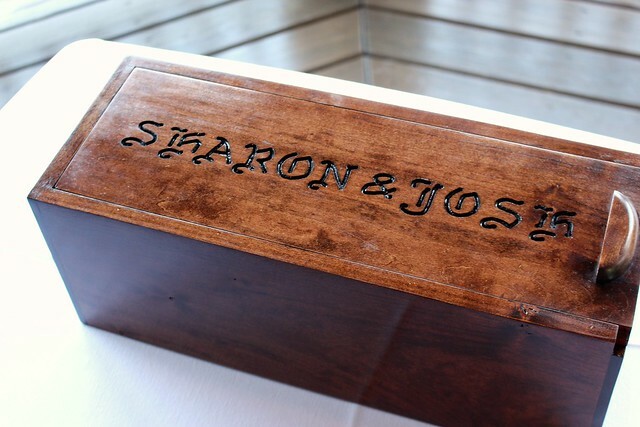 They tucked love letters to each other and a bottle of champagne in this box her father made, and they’ll open it on their first anniversary. 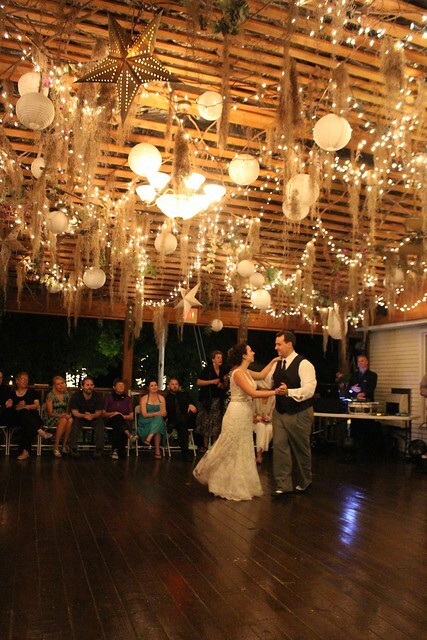 The venue was gorgeous, with vines, twinkle lights and spanish moss hanging from the ceiling. 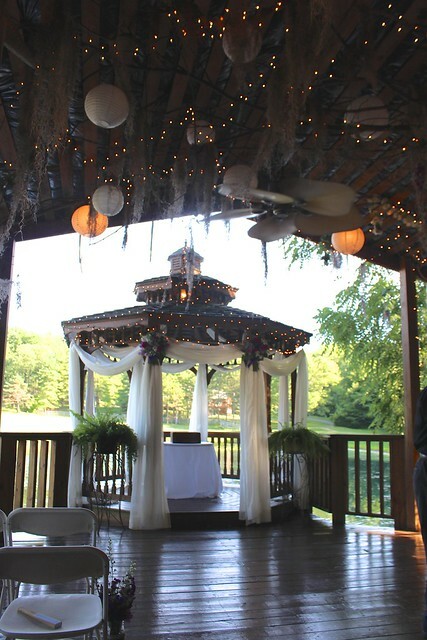 This covered porch that was used for the ceremony and the dance party later, with a big gazebo at the end, overlooking the water. 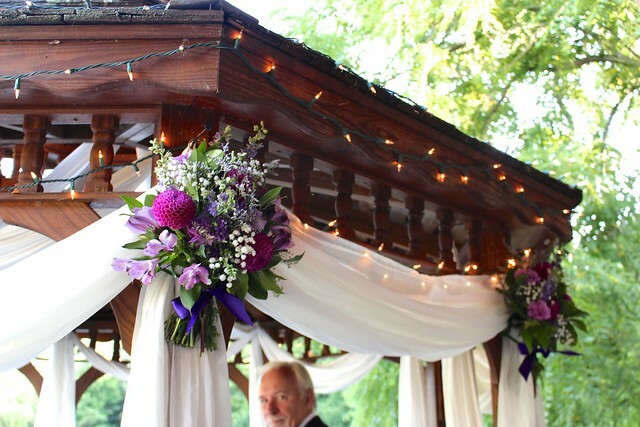 They decorated the gazebo with lights, gauzy cloth and beautiful flowers. 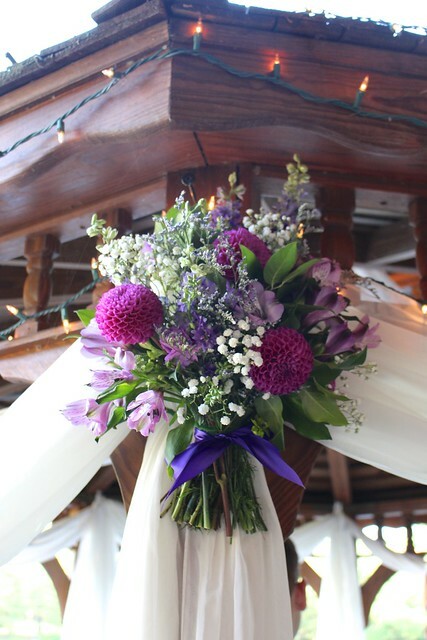 The different colours of purple and white were so summery! 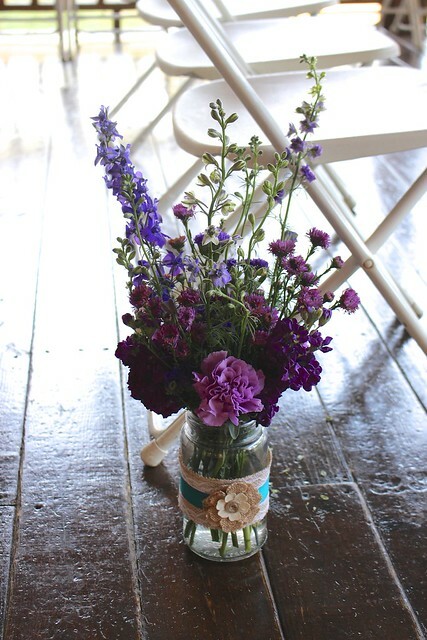 The aisle was lined with mason jars wrapped in burlap and ribbon, and filled with more purple flowers. I love the rustic look. 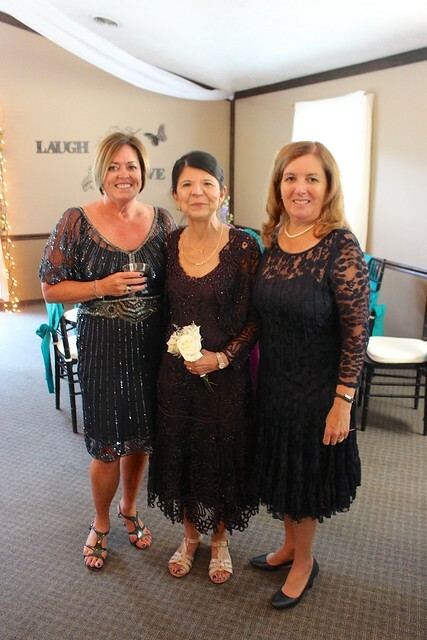 The mother of the bride (center) with her two closest friends, including my mom (right). 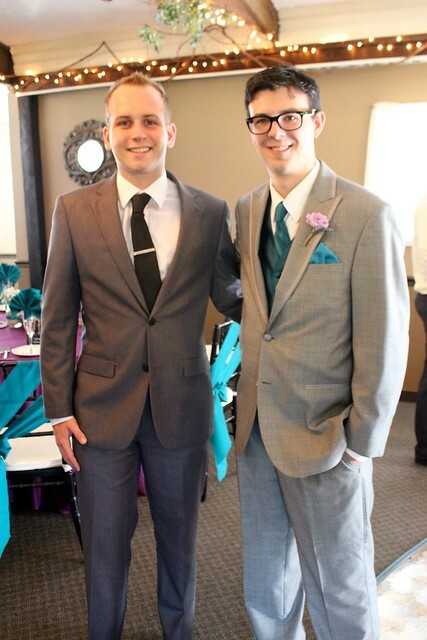 My brother and Sharon’s brother have been friends since they were just little kids jumping on the trampoline at our house. When did they get so tall and grown up?!? 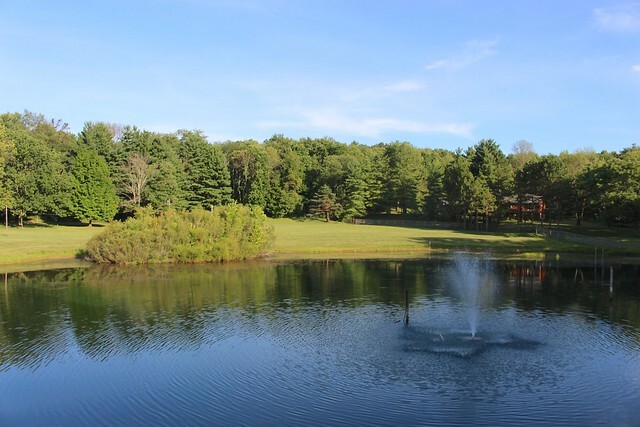 Overlooking the pond from the gazebo. It was so peaceful and serene! They even had llamas and emu. 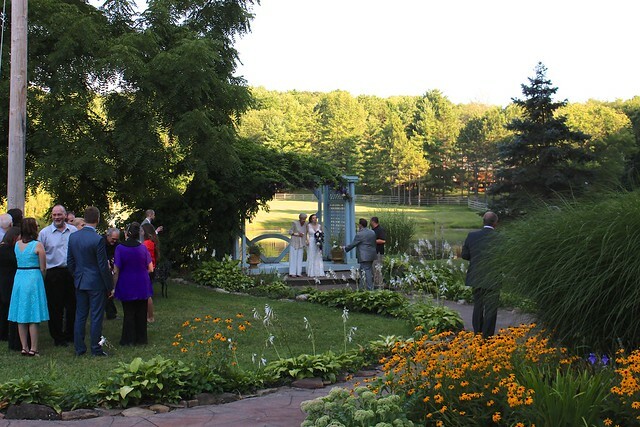 Down through the garden, there was an arbor for guests to take photos with the bride and groom. What a great backdrop! I can’t wait to see how their photos turn out. There are more purple flowers up there in the vines above the arbour. 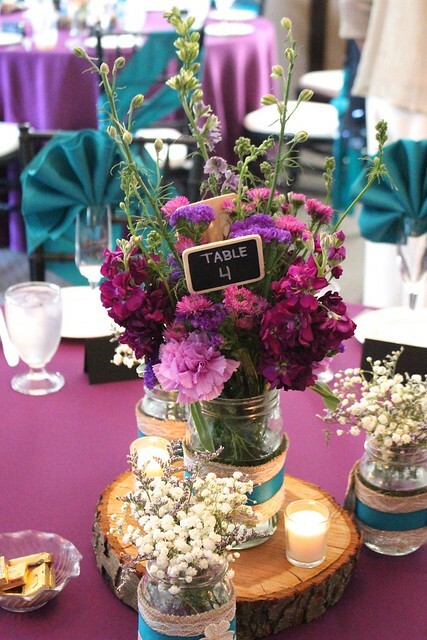 The centrepieces were mason jars overflowing with more purple flowers, resting on a slice of wood with tealights and jars of baby’s breath and heather all around. 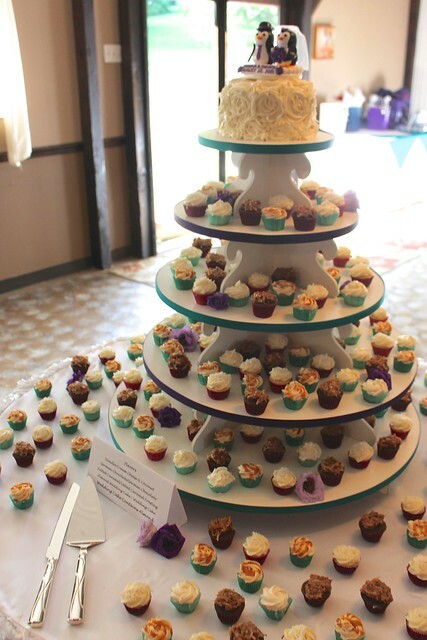 They had a huge cake stand full of different gourmet mini cupcakes. 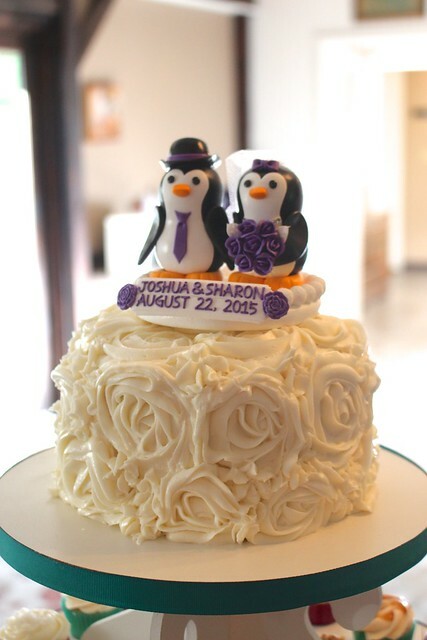 The cake topper was two penguins, in honour of their favourite hockey team – the Pittsburgh Penguins. 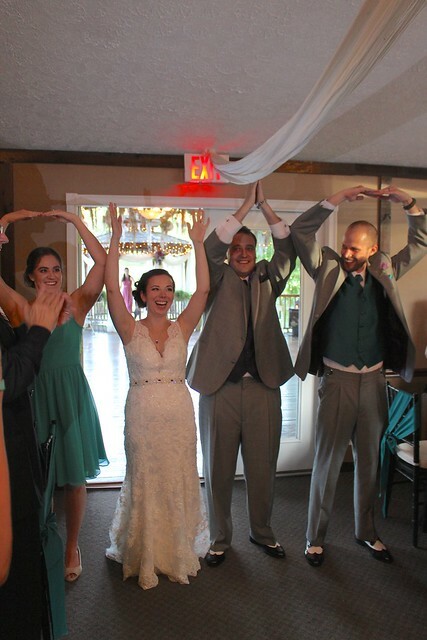 There were also many references to the state where they met, fell in love and were now married – O-H-I-O! 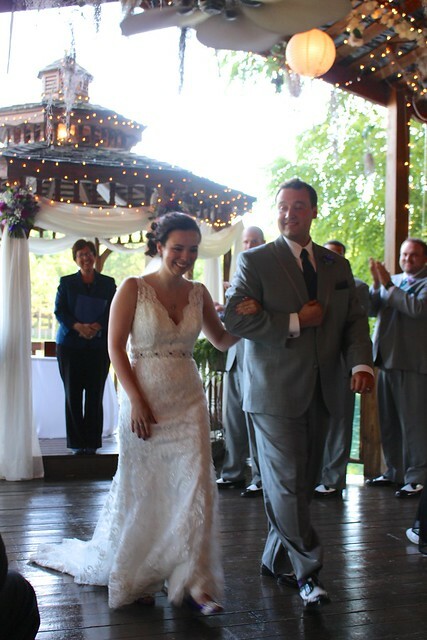 After several beautiful speeches and a great dinner, it was time for the first dance. 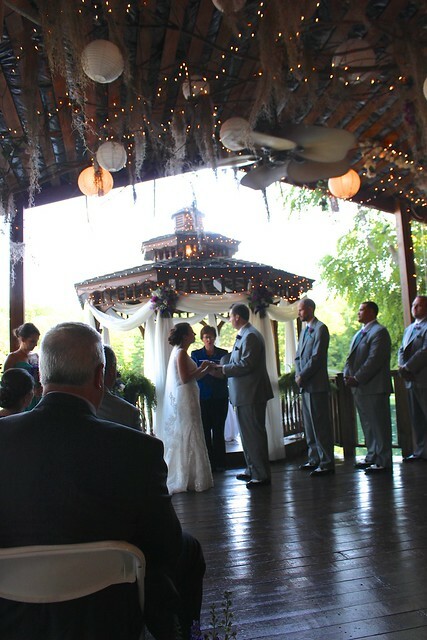 They had it out on the porch under all the twinkle lights bouncing off the pond. It was such a sweet, magical moment. 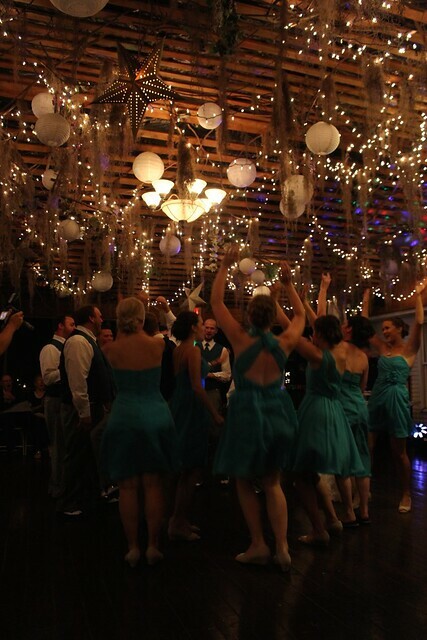 They’d been taking dance lessons leading up to the big day and you could tell! There were dips and spins and lifts! 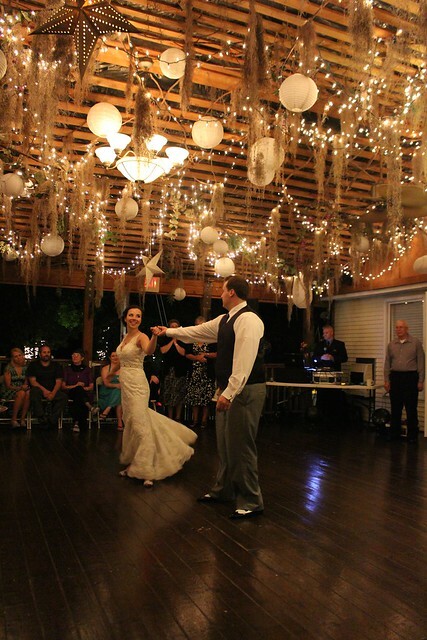 A sweet father daughter and mother son dance that didn’t leave a dry eye in the house. 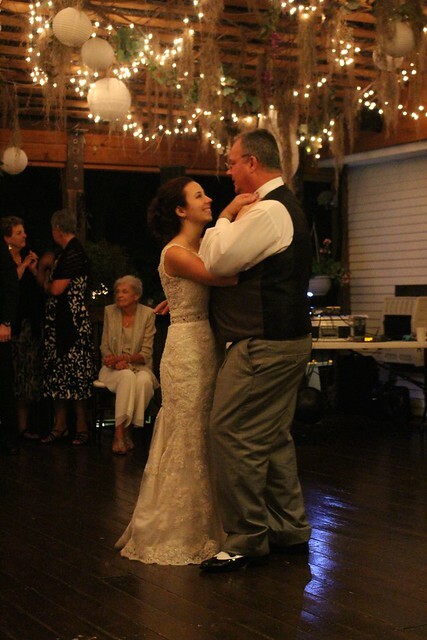 I couldn’t help stealing a look at my own dad and remembering how we both teared up during our dance at my wedding. Then it was time to DANCE! We had an awesome time and danced until our feet hurt and they shut the place down. Then the party continued at the hotel until we all finally crashed in the early morning. It’s hard to end the night when you’re having such a great time! 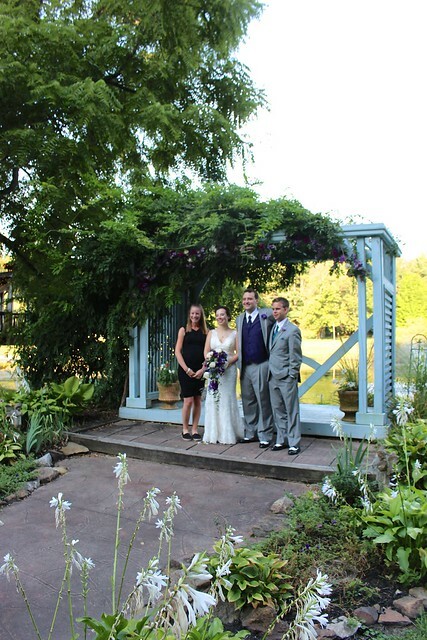 Congrats to Sharon & Josh! I wish you both many happy years together!